After a wildly successful event in Cape Town on November 3rd, Smiley returns to Johannesburg’s The Generator for another razzle. This time, in the spirit of giving back, Dadaman has come onboard to generate some funds for two great causes. 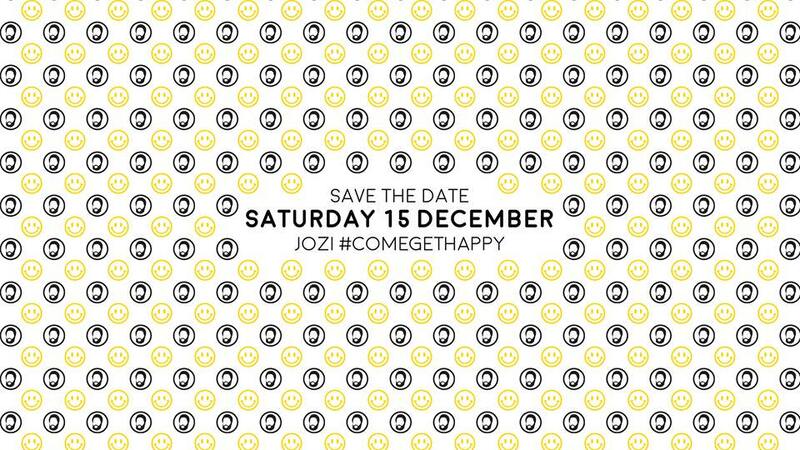 Taking place on December 15th, profits from the “Smiley meets Dadaman” event will help fund food parcels for impoverished families over the festive season, with the excess going to Dadaman’s already fruitful school shoe drive for primary school learners in Soweto. Spearheaded by Mavuthu Dzege, Dadaman is a vehicle to help the lesser-privileged, which began with him participating and finishing the 42.2km Soweto Marathon earlier this month—raising R4000 for the food parcel drive. This collaboration with Smiley will definitely put a smile on the faces of many families this festive season and will help those who need it the most. With DJs Ady Fleming, DeepSouls, Keegs Bantom, DJ Scossh Mdonori, Wandaful SA, Dj Lady, GForce, The Rudeman and Travisto, The Generator will be filled with big smiles and warm hearts as punters get down for a great cause next month. Tickets available here. Visit the event page for more information. We chat about the Evolution of Jazzuelle.